They say the way to a man’s heart is through his stomach, and Dad is no exception. For Father’s Day however, no ordinary dessert will do. So we upgraded some of Dad’s favorites. We divided them into three categories: desserts remixed, desserts with flair and kid-friendly desserts. Whichever you choose, this year Dad’s heart is all yours. 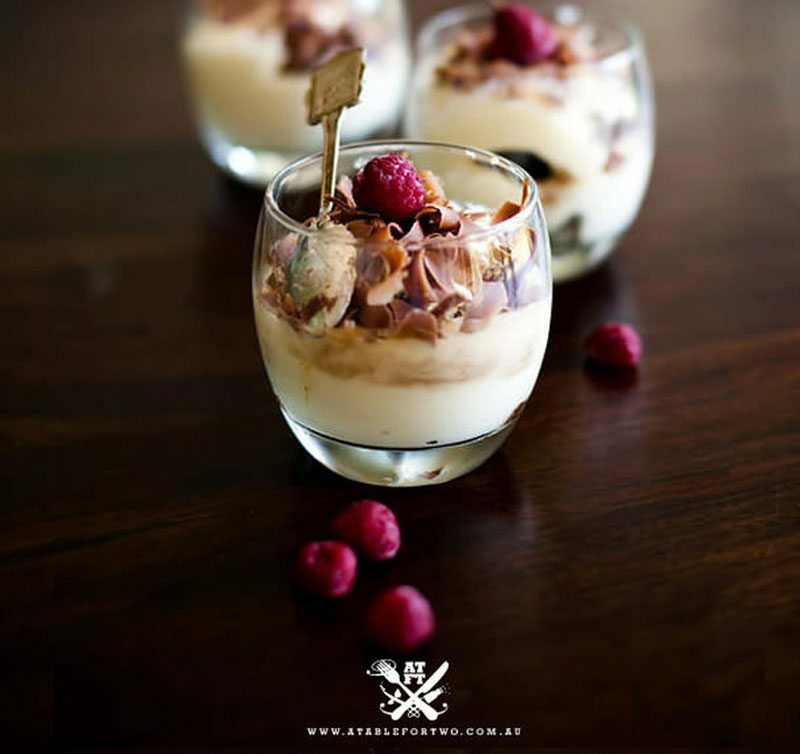 Unexpected ingredients remix classic desserts and take them to a whole new level of decadence. 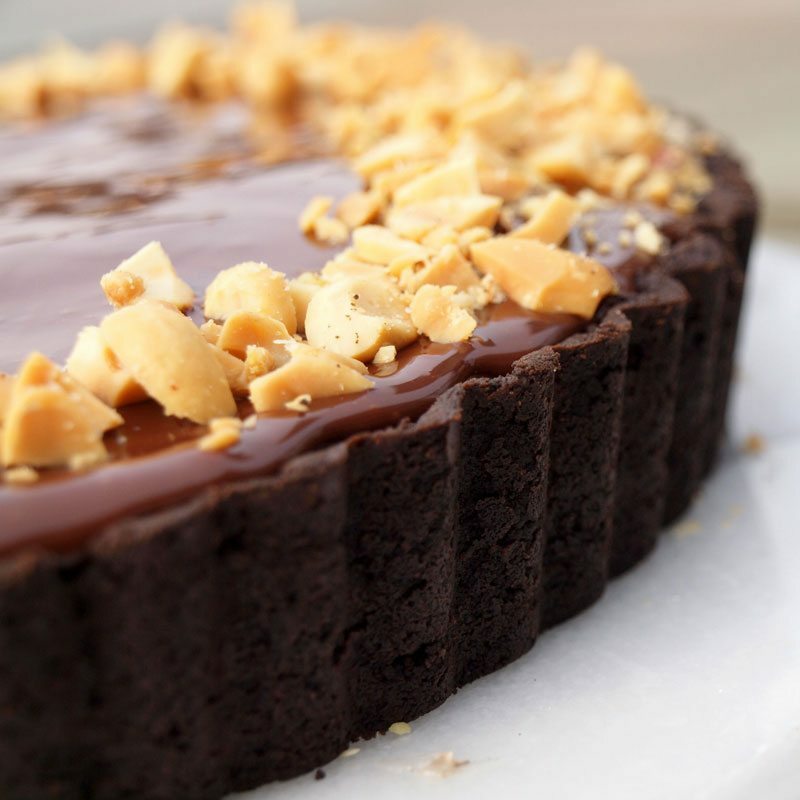 This rich dessert tastes like a super-sized peanut butter cup. If your dad loves the candy, he’ll love it even more in pie form. Get the recipe from Once Upon A Chef. 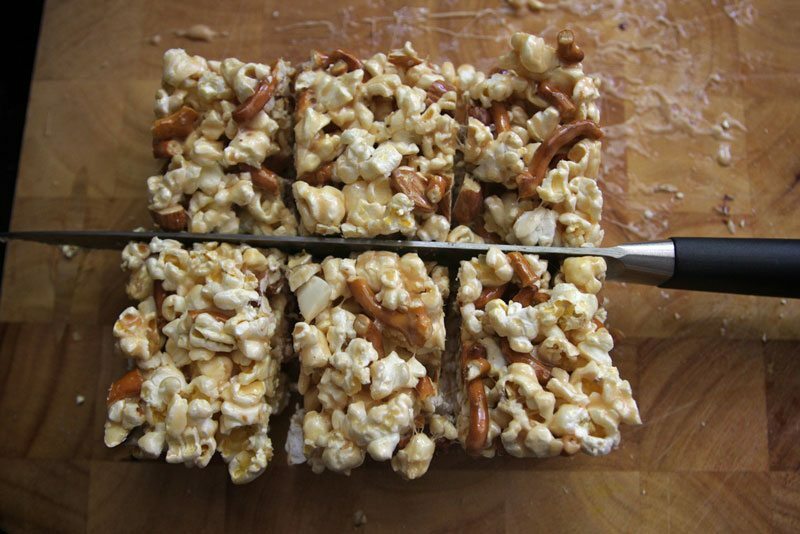 Gooey, salty and sweet, these dessert bars merge all of Dad’s favorite pub snacks: popcorn, pretzels and nuts. Serve it a la carte or alongside a nice cold beer. 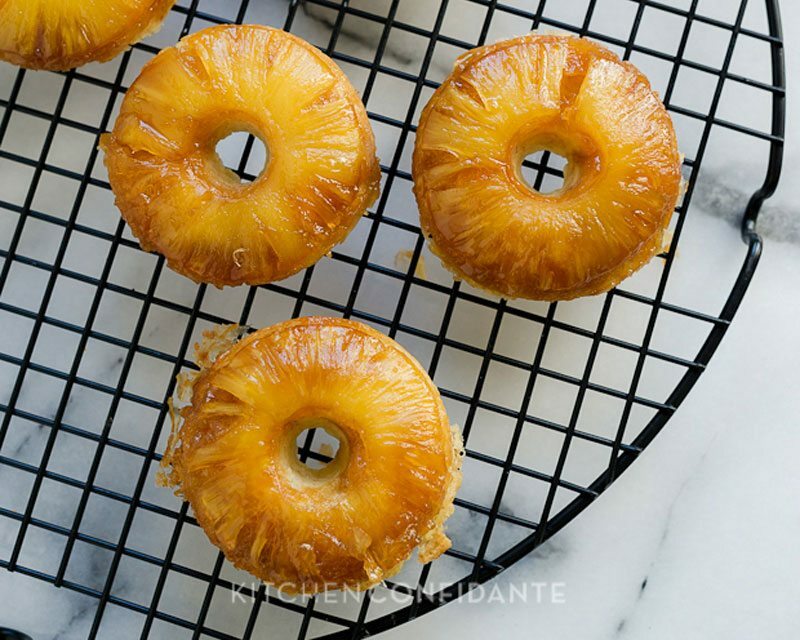 Get the recipe from Shutterbean. 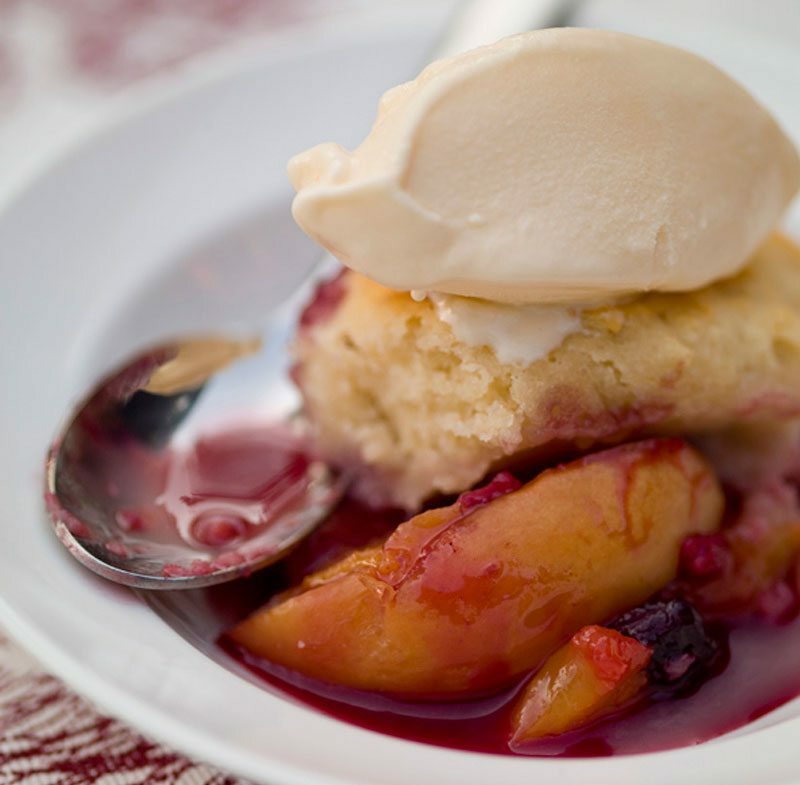 This grilled summer fruit cobbler is the perfect ending to an outdoor meal. Get the recipe from Silvana’s Kitchen. What’s manlier (and more fun) than food eaten around the campfire? 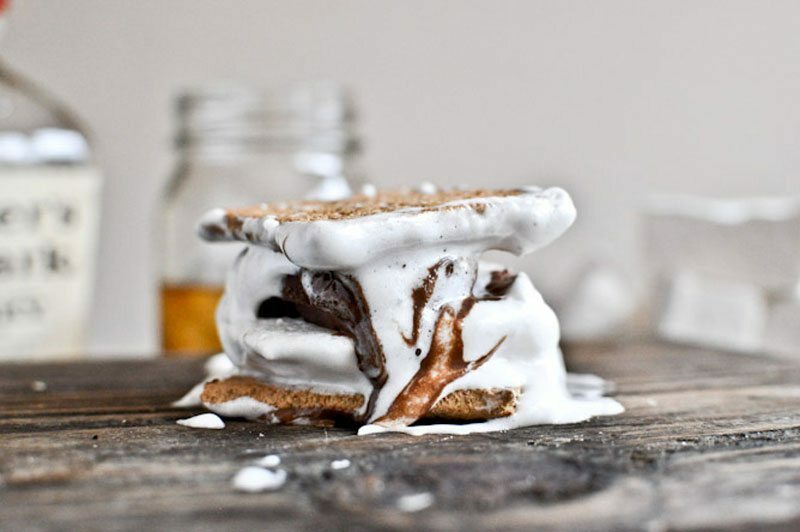 S’mores with a splash of bourbon and bacon. Get the recipe from How Sweet It Is. 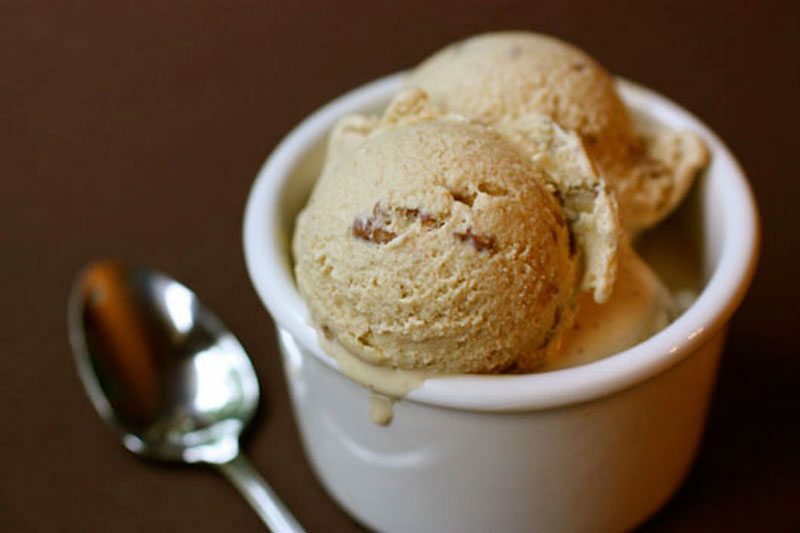 If your dad prefers simple (and delicious) pleasures, this amazing homemade ice cream is sure to make him happy. Get the recipe from A Farmgirl’s Dabbles. 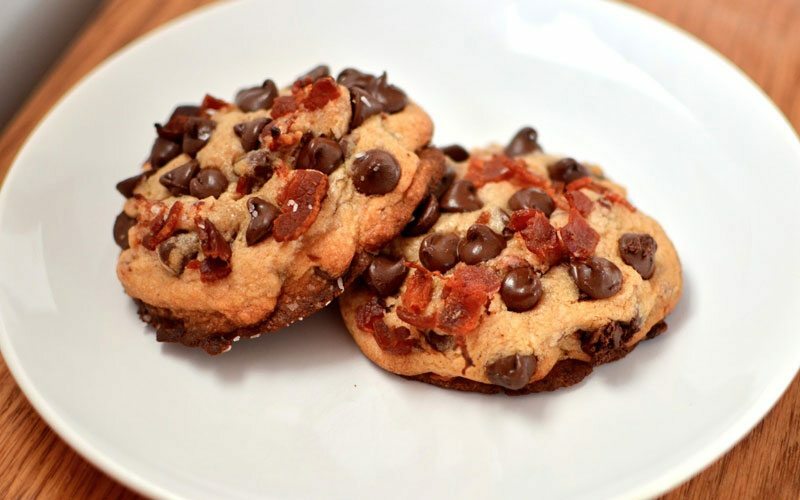 Indulge his bacon cravings with a treat that teams it with the classic chocolate chip cookie for a sweet and salty surprise. Get the recipe from Yammie’s Noshery. Dads and doughnuts go together like cake and ice cream. This retro-inspired dessert is just the right size for a guilt-free second helping. Get the recipe from Kitchen Confidante. Candied nuts are a beacon to dads everywhere. Whether it’s a bag of toffee peanuts at the gas station or a handful of brittle at the holidays, they just can’t help but help themselves. This chocolaty, crunchy bark will be no different. Get the recipe from BS in the Kitchen. Rich ribbons of caramel and crisp, fried apples reinvent America’s beloved apple pie. 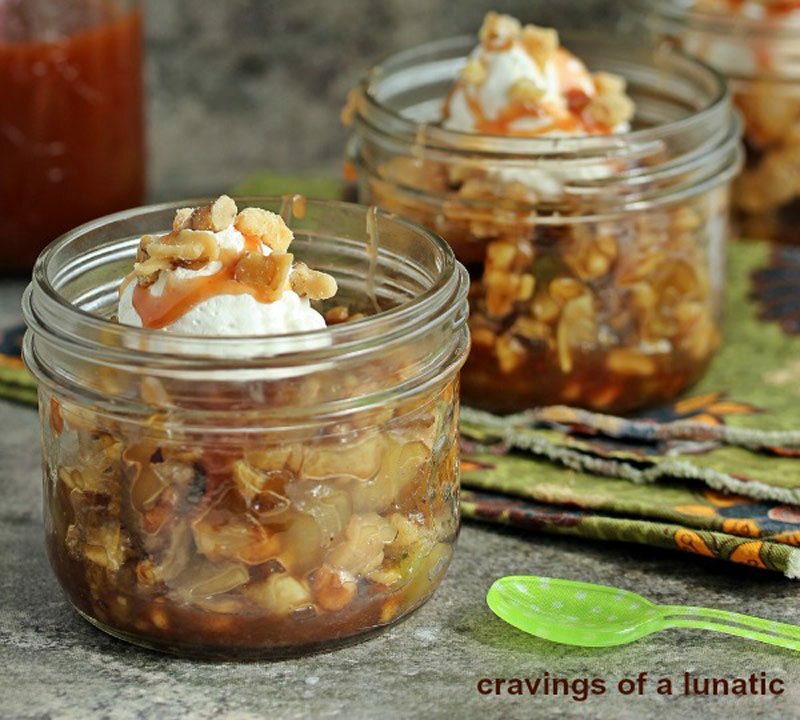 Get the recipe from Cravings of a Lunatic. 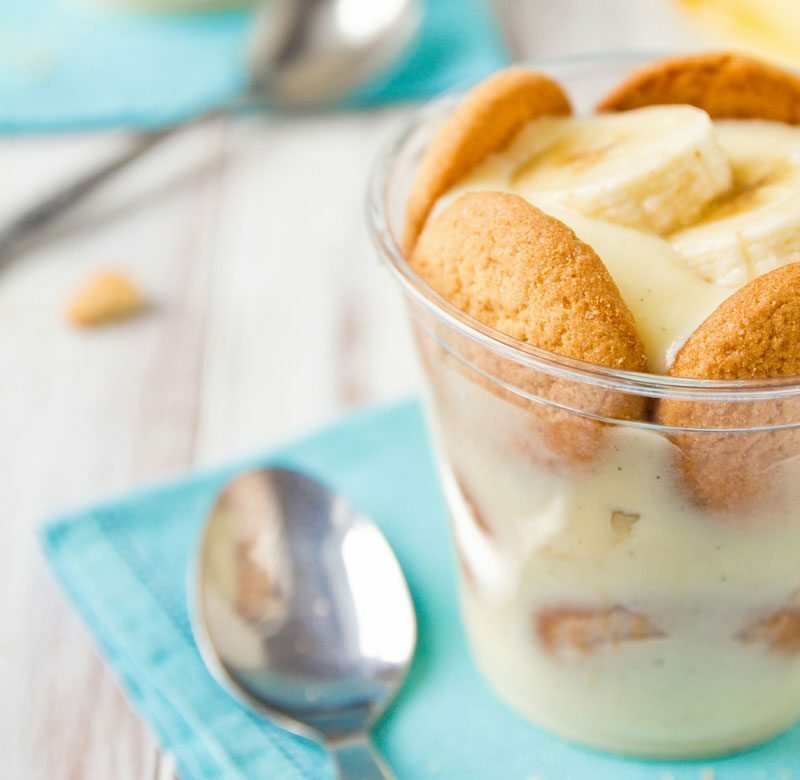 Banana pudding is one of those desserts that often gets overlooked on special occasions. 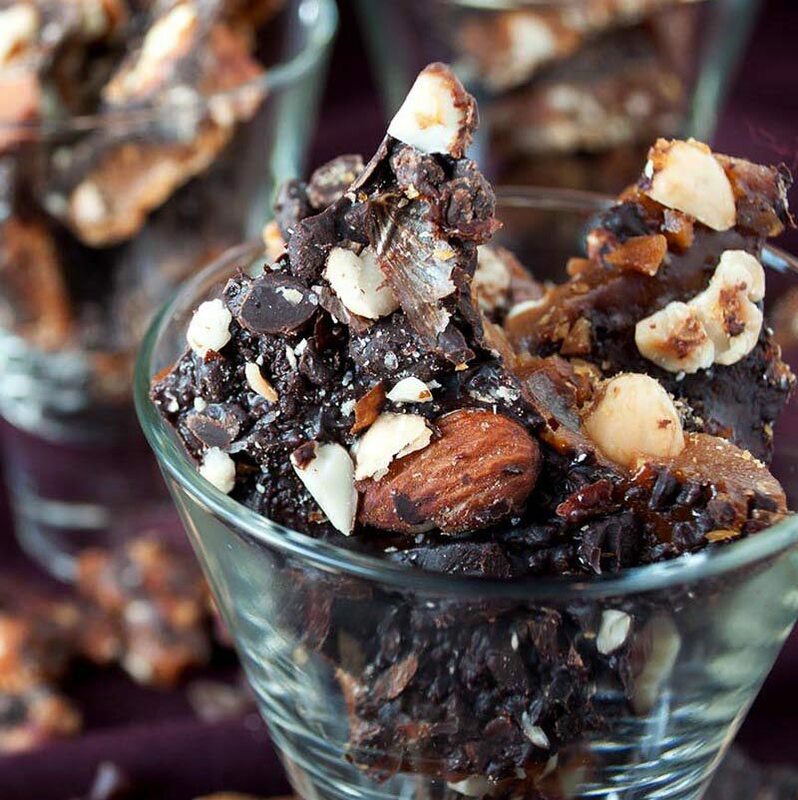 Not anymore, thanks to this recipe remix from Confections of a Foodie Bride. 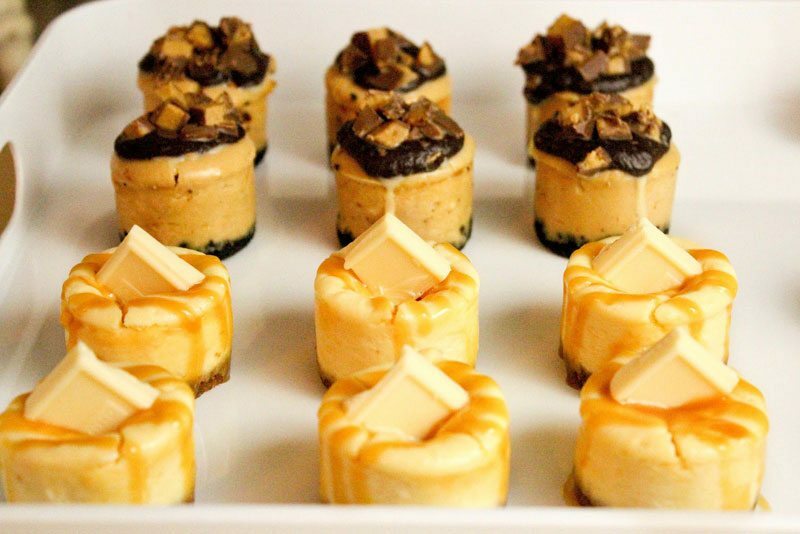 As if mini cheesecakes weren’t reason enough, this recipe by From Dahlias to Doxies gives Dad even more cause to celebrate: a shot of whiskey and creamy chocolate ganache. Now Dad can have his brew and tiramisu too. This elegant but earthy dessert layers the flavors of stout, espresso and almond liqueur. Get the recipe from A Table For Two. Clever presentation makes these recipes stand out in the crowd of Father’s Day gifts (so you can outdo your siblings). Plus, they let you express your crafty side. 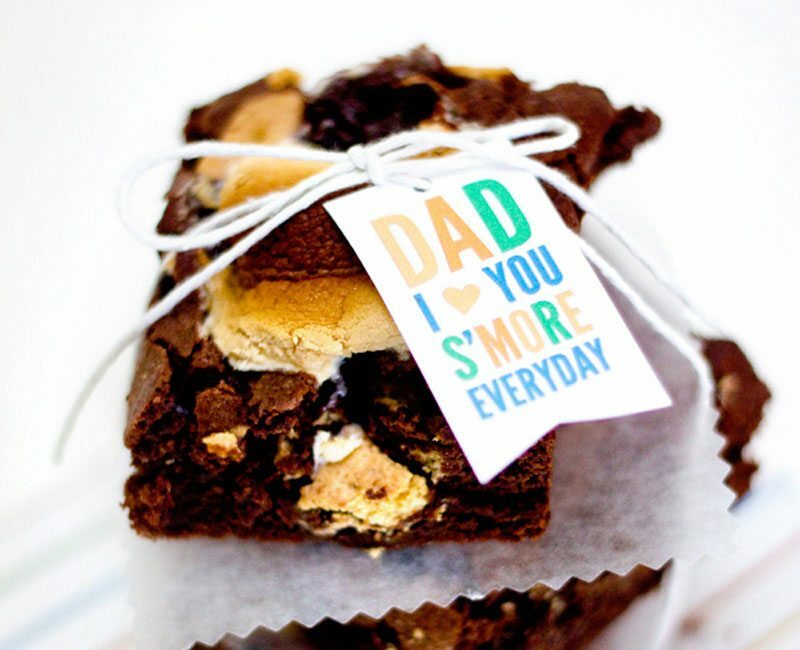 Transform a batch of brownies into a declaration of love and appreciation with toasted marshmallows and these Father’s Day gift tags. Get the recipe and free printable from Sarah Hearts. 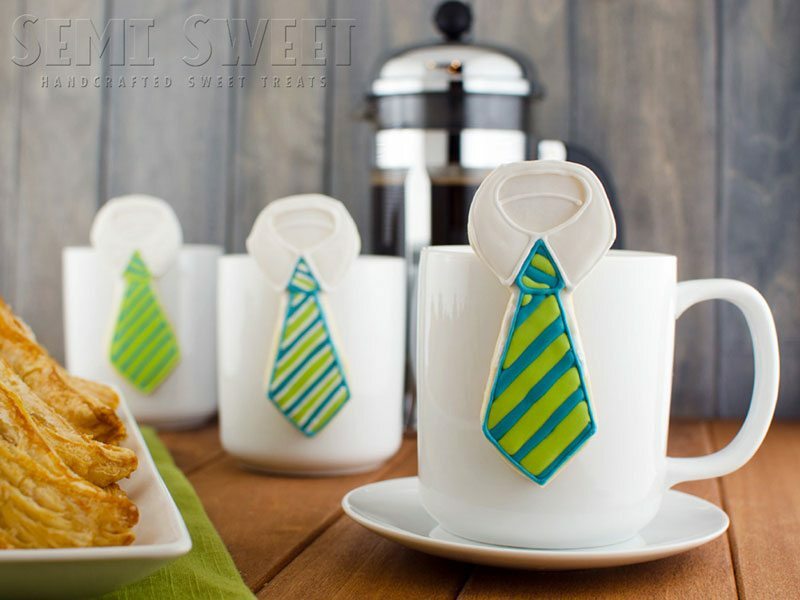 Dad may not need another necktie, but he won’t mind seeing this cookie draped over his after-dinner coffee. Get the recipe from Semi Sweet Designs. Flecks of chocolate cookie crumbs give this white chocolate fudge a geological look. 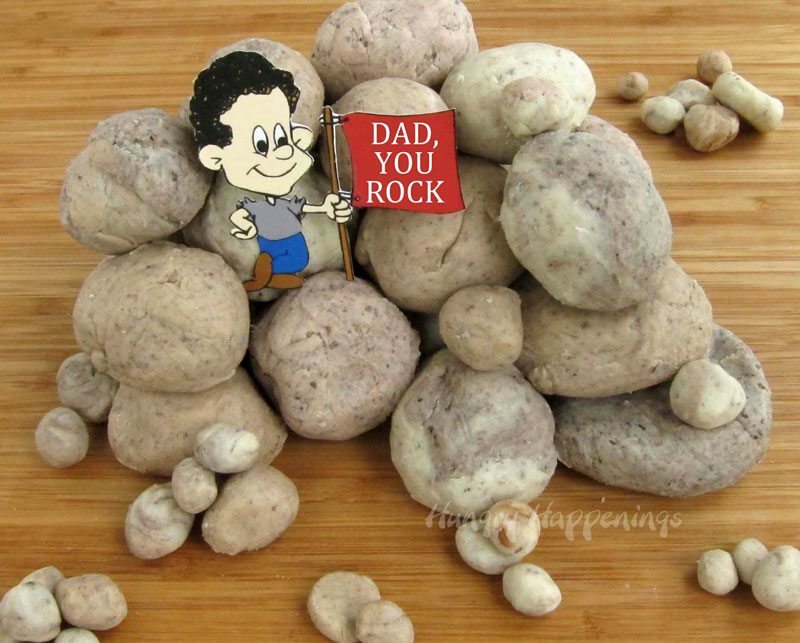 Take advantage of the optical illusion to tell Dad how much he “rocks.” Get the recipe from Hungry Happenings. With the right baking pan, these cream-filled cakes are a breeze. Finish them off with Father’s Day wrapping celebrating your “#1” dad. Get the recipe and printable wrappers from Living Locurto. 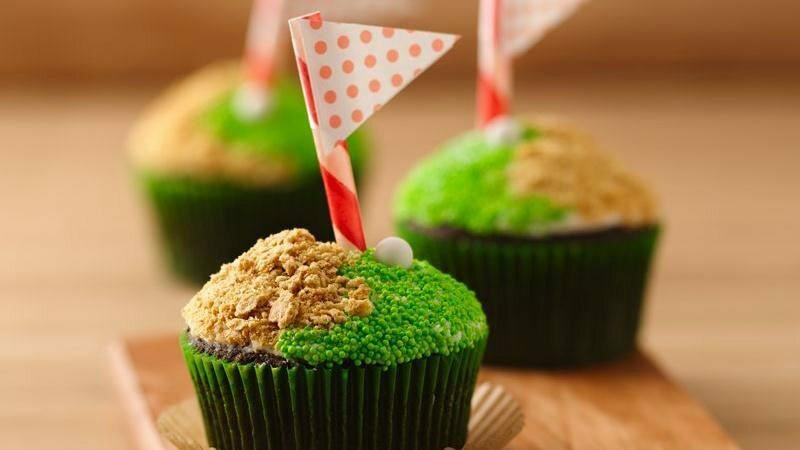 These cupcakes are sure to hit a hole-in-one this Father’s Day with dads who love golf. The simple decorations are easy enough for older kids to help out with as well. Get the recipe from Betty Crocker. Nothing will melt Dad’s heart like knowing the kids (or grandkids) had a hand in creating his gift. Whether it’s decorating the sundaes or scooping ice cream into the blender, these recipes include tasks simple enough for children. 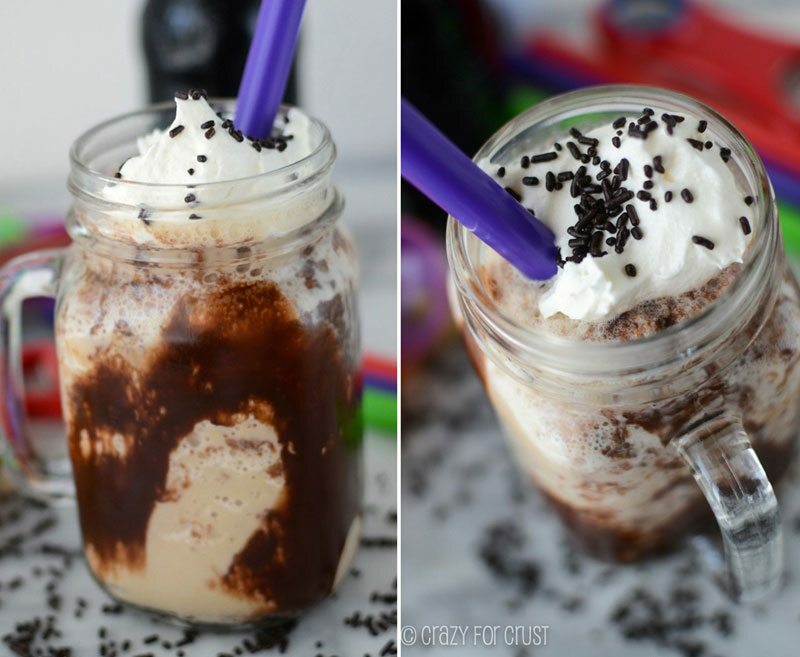 Give Dad the best of both worlds with a milkshake that’s also a root beer float. Kids of all ages can get in on the fun by measuring ingredients or shaking the sprinkles. Get the recipe from Crazy for Crust. This recipe is infinitely versatile. Store-bought cookies and a quick ice cream will save you time in the kitchen. Let the kids roll the sandwiches in a variety of sprinkles and nuts for extra fun. Get the recipe from Popsicle Blog. 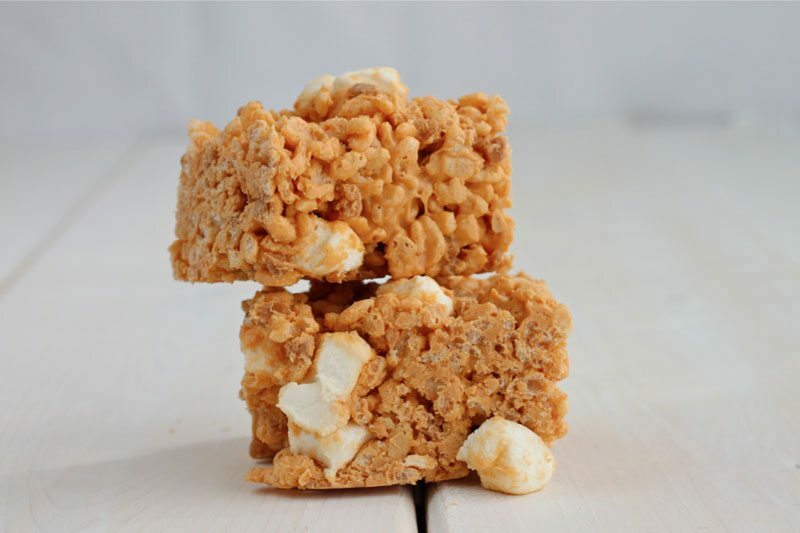 Marshmallow treats are a great recipe for young bakers. This recipe reinvents them with butterscotch and peanut butter, while keeping the instructions simple enough for all ages to help. Get the recipe from I Adore Food. 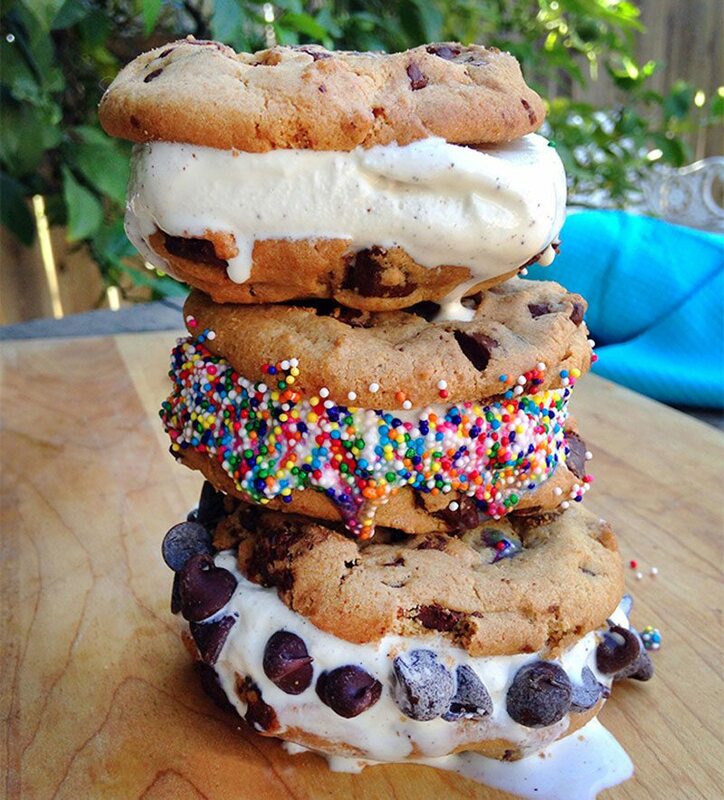 You can make the cookie “bowls” and the kids can fill them with Dad’s favorite treats like ice cream, fruit or candy. Get the recipe from How Does She. Too busy to bake? Let us do the work for you. Our decadent twist on Dad’s childhood favorite, our twice-dipped cherries are the one exception to the “no double-dipping” rule. 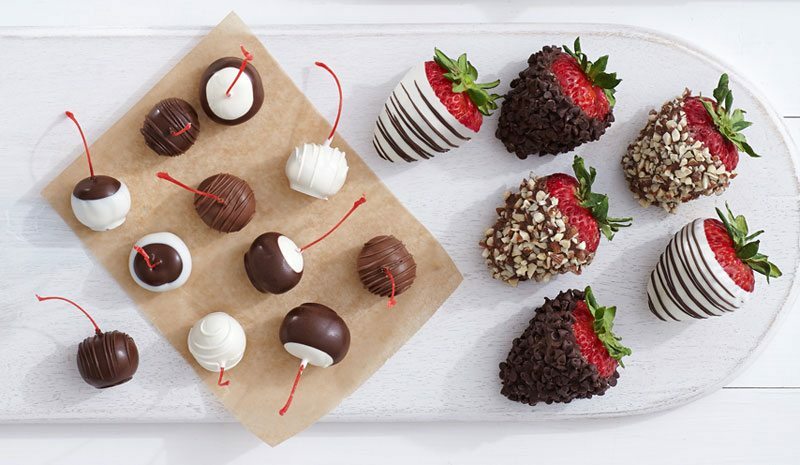 If Dad’s been extra good this year, pair them with dipped strawberries topped with almonds, chocolate chips and swizzles. Find these dipped fruit treats on our website. 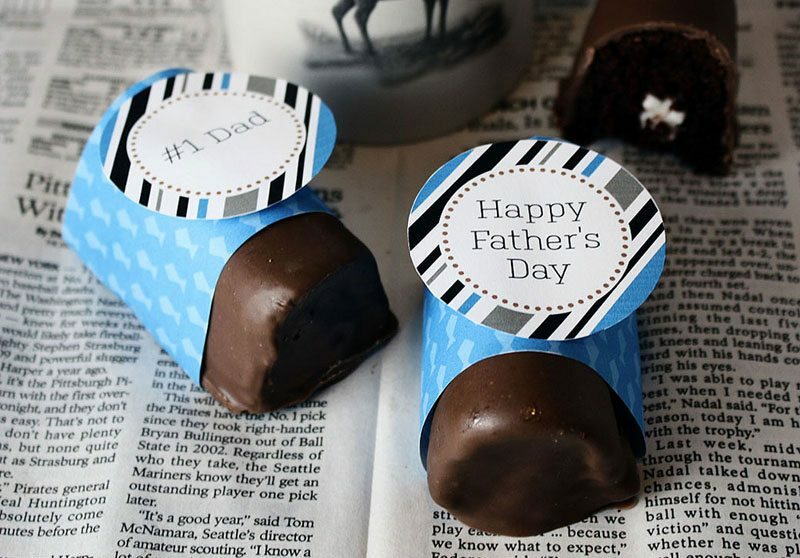 Pair your treats with some of these fantastic Father’s Day gifts. Dad will love them! 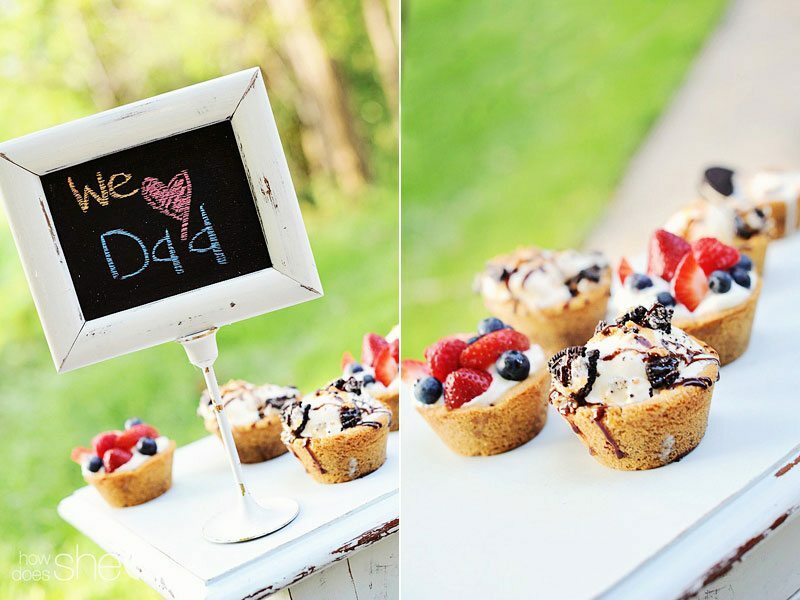 Which dessert will you make Dad? Will you make one of these or your own special recipe. Let us know in the blog comments.